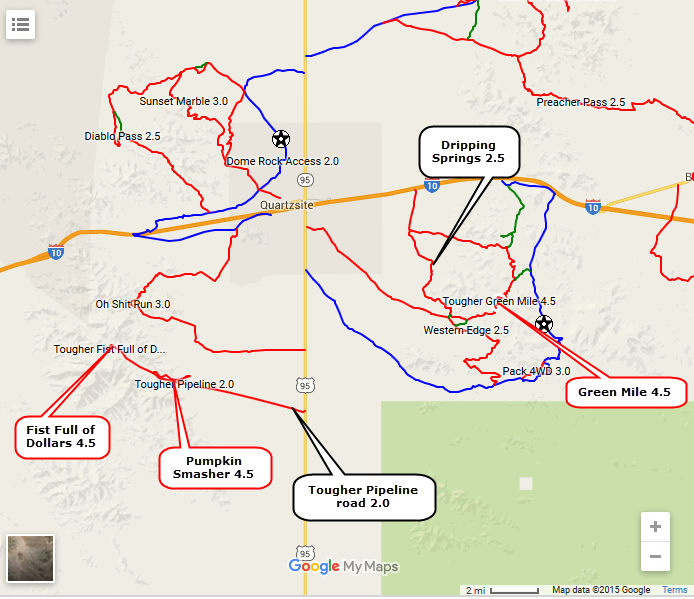 These are the tougher Jeep trails I have information about in Quartzsite. I am sure there are more. I have not driven these two trails, only driven to the end of them. The tracks leading to them are good - the tracks of the actual trails were drawn in on my computer. Use Pipeline Road for access. I have not driven this trail, but I did walk it to look it over and get a good track. The rating seems appropriate. 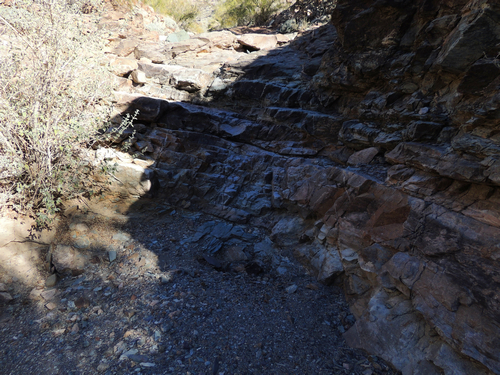 Note that it is a short loop off Dripping Springs 2.5.